This post contains Amazon Affiliate links that go to help run this blog at no extra cost to you. Summertime is the primetime for road trips. As a kid, I remember vacations to see Mt. Rushmore, the South Padre beach, and the St. Louis Arch. Riding in the car and seeing the sights our country had to offer was novel and exciting. We played road trip bingo and the license plate game, read books, and stared out the window as the American terrain passed by. Don't get me wrong, our Kindles, the DS, and a travel DVD player have gotten us through many a long drive. 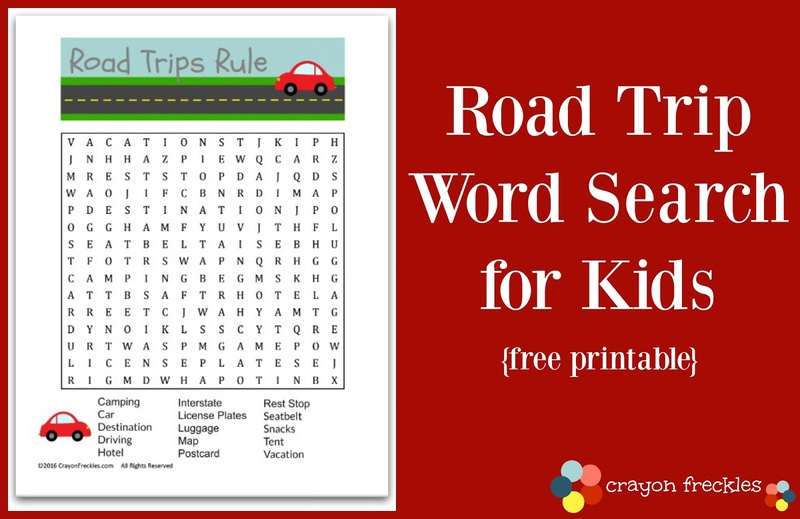 But there's just something about looking in the backseat and seeing my son's head bent over a word search that brings about nostalgia of my youth. 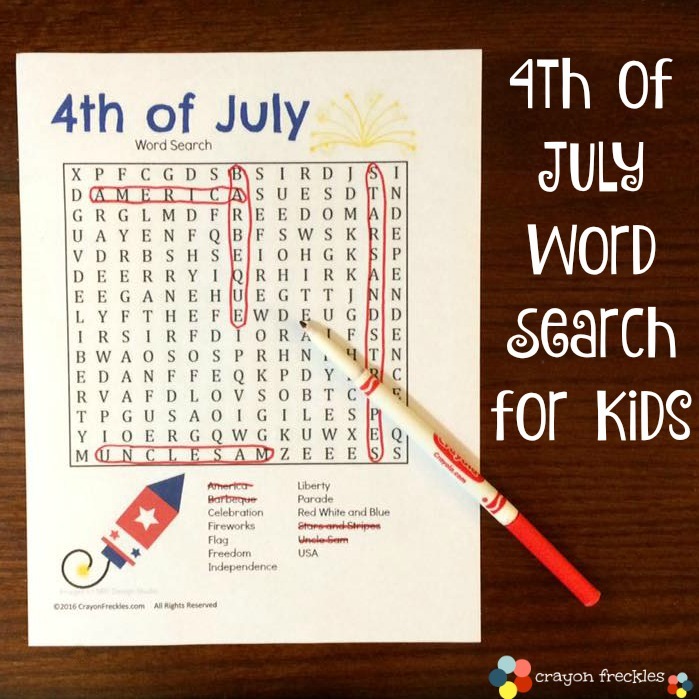 With the success of our 4th of July word search, I plan on creating fun and free word search printables for you every Wednesday this summer! 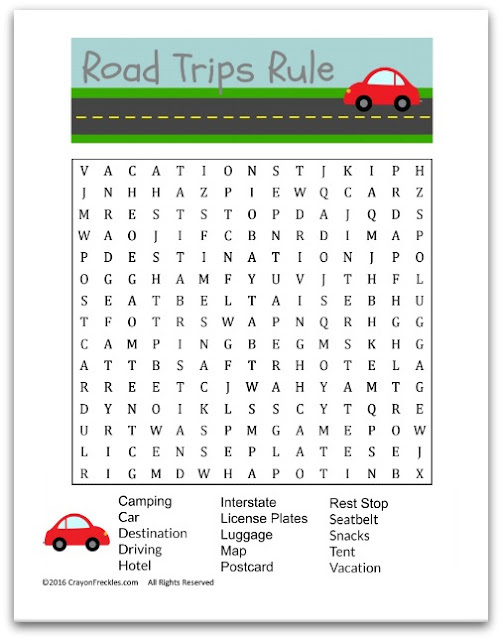 Last week, was a Summer Fun word search available here. Next week's free summer word search for kids will expand some horizons and take your little puzzle-solvers around the country! Make sure to come back next Wednesday for a new word search!. Are there any themes you’d like to see? Leave a comment below and let me know!